It is amazing what the right lighting can do to set the mood of any event. LED lighting is an elegant way to enhance the atmosphere of your wedding, company party, birthday or any other event. We offer a wide variety of lighting options from up lighting to custom gobo’s and moving heads. You can transform a room by placing our LED up lights around the room which can be programmed to virtually any colour you choose or feature the couple of the hour with their names or custom logo projected onto the wall! 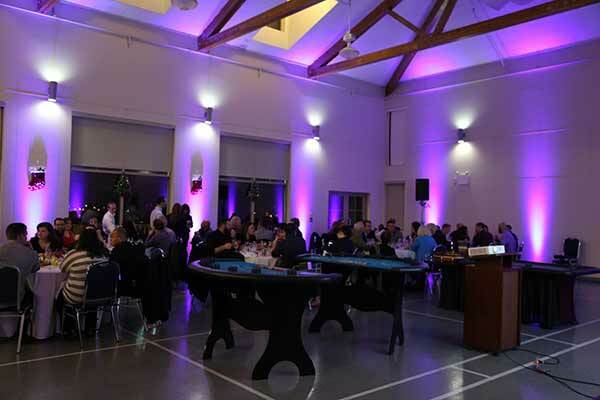 Whether it is lighting around the entire room or accenting specific features of a room, contact Painted Frog Entertainment to see what lighting options we have for you! Painted Frog Entertainment offers staging solutions for any situation. Whether you are in need of a riser for your head table or a large stage for a graduation, we have covered! 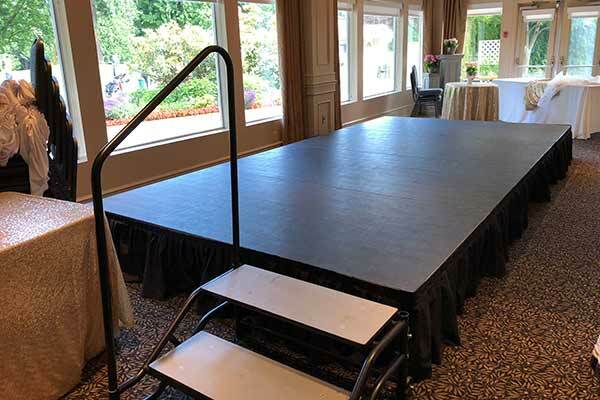 Our lightweight aluminum stage decks can be configured into just about any size with heights of 8 or 16 inches to meet your needs for all event types both indoor and outdoor! 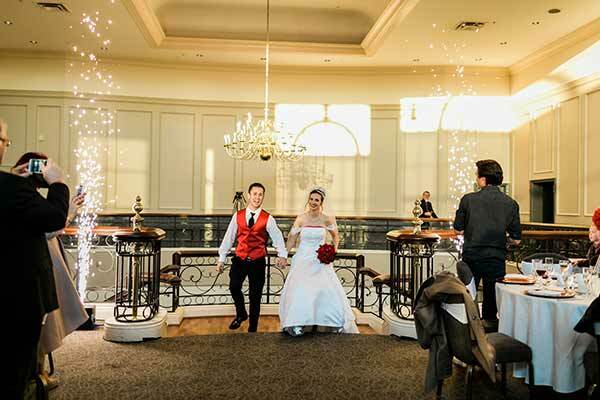 What a way to make a grand entrance or add to an already special moment like your first dance! Our indoor Sparkulars are an amazing add on to any event to create a wow factor for that special moment. The Sparkulars are a cold spark, which means they are safe to use indoors and can be used in many venues. The sparks shoot up over 8′ into the air can be easily triggered using the included wireless remote! 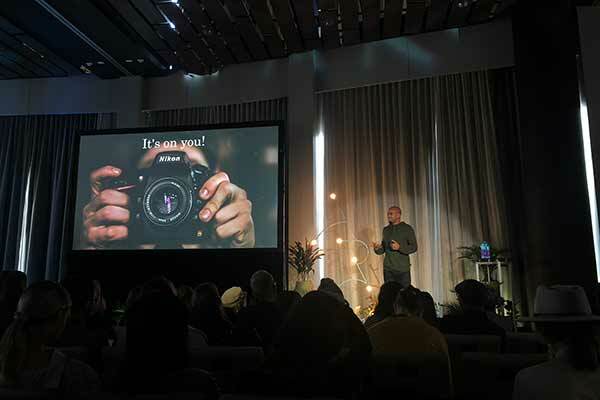 In our partnership with Valley Tech Production Group LTD, we are able to offer you any other production services you may require for your event. Anything you can envision for your big day, we can make happen! From a simple slideshow to full sound and lighting for the band playing at your event, we have you covered!